2019 marks three distinct anniversaries for The Montalbán, a theater with a rich history in the heart of Hollywood. The building itself first opened its doors in 1927 (view this slideshow to see how the venue has been transformed by its famous proprietor over the years). The Ricardo Montalbán Foundation became the proud owners and operators of the historic venue in 1999 (Anniversary #1). In 2009, after over seventy years of theatrical, screened and broadcast entertainment inside the theater, it became the first structure in Hollywood’s 21st century to curate entertainment on its versatile rooftop. Between sports-related, high-energy dance, film screenings under the stars and other public and private events, The Montalbán is celebrating its first decade of alfresco activities on its rooftop in 2019 (Anniversary #2). This year ALSO marks the five year anniversary (#3) of its ongoing outdoor movie series, now entitled Rooftop Movies at The Montalbán. The venue is located at 1615 Vine Street, Hollywood, CA 90028. For more on the theater – inside and out – please call the box office at 323-461-6999 or visit https://www.themontalban.com. The regular season of Rooftop Movies at The Montalbán opens on Tuesday, April 2 and will run through Thursday, October 31, 2019. The venue will also host pop-up screenings during holidays and for special events between November and the first quarter of 2020. Films are typically scheduled to run five nights per week – every Tuesday through Saturday – with double features screening on certain weekends. Doors open at 6:00pm and films start screening 10 minutes after sunset. Prices run $18 for general seating or $50 to reserve one of the limited loveseats. Loveseat guests also receive a Prosecco toast and unlimited popcorn throughout the night. The rooftop screening experience is meant to f oster a date-night atmosphere so most nights are meant for guests who are 18-years of age or older. Rooftop Movies at The Montalbán kicks off with Jordan Peele’s Oscar-winning filmGet Out (2018’s Best Original Screenplay) on April 2nd. The screening series will include a mix of newer releases (A Star is Born, Spider-Man: Into the Spider-Verse), perennial favorites (Sunset Bo ulevard, Casablanca), cult classics (The Big Lebowski,Kill Bill: Volume II), quintessential 1980s films (The Breakfast Club, The Goonies) and new documentaries about nuns and cannabis (Breaking Habits). The May screening schedule is already posted online and updates are continuous. Interested attendees should always make sure to confirm dates and titles before attending by calling the box office or checking online athttps://www.themontalban.com/movies-at-themontalban. The Montalbán’s rooftop oasis – outfitted with a bar, concession stand and kitchen – provides an open-air movie theater complete with a large projection screen, state-of-the-art projector, noise cancelling headphones, fresh-popped popcorn and even blankets for a chilly night. 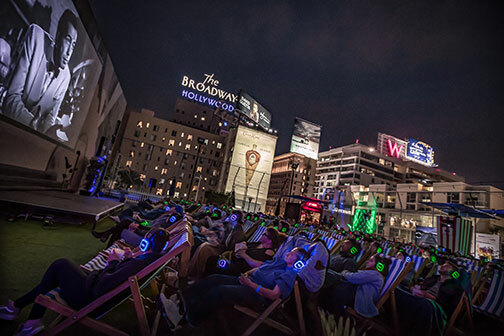 This year the historic venue celebrates 10 years of rooftop entertainment and enters its fifth year of its ongoing outdoor movie series, now entitled Rooftop Movies at The Montalbán. The Montalbán curates films from all eras including Hollywood classics, cult favorites, select current releases, premieres and special presentations with cast and crew when possible. Doors open at 6:00pm, which allows attendees to DRINK an exclusive hand-crafted Ramos Sangria (or beer, wine, mix drinks); DINE thanks to Umami Burger who continues as the venue’s rooftop culinary partner (serving Impossible Burgers much to the delight of many vegetarians); SNACK on freshly baked cookies by Duidough Cookie Lab; PLAY a game of giant Jenga or ham-it-up in the selfie-friendly Simple Booth area; or CHILL in a relaxing Adirondack chair or loveseat while listening to a hand-selected musical soundtrack through the KV2 Audio system and Sound Off™ 3-channel/stereo wireless noise-cancelling headphones until the movie begins just after sunset. The Montalbán, Hollywood’s classic theater reborn for a new era of performing arts and screened entertainment, is located at 1615 Vine Street just south of the world-famous Hollywood and Vine intersection. In 1927 the gorgeous Beaux Arts building became the first legitimate live Broadway-style theater in Hollywood. Currently it is one of the few remaining mid-sized and fully equipped proscenium theaters in Los Angeles. Featuring orchestra, mezzanine, loge and balcony seating, it is known for its excellent sightlines and acoustics. The venue is also proud of its versatile rooftop where films are screened many nights throughout the year. Emmy Award-winning actor Ricardo Montalbán’s vision was to create a presence in Hollywood that provided inspiration and employment for young Latinos as well as other underrepresented people throughout the community. The building first opened its doors as the Wilkes’ Vine Street Theatre on January 19, 1927. It was designed by architects Myron Hunt and H.C. Chambers whose other celebrated designs include the Rose Bowl (1922), Pasadena Central Library (1924), and I. Magnin Department Store on Wilshire Boulevard (1939). Hunt was an acclaimed architect before the two partnered in 1920 having been responsible for some of Southern California’s most iconic structures, including Mount Wilson Observatory, Cal Tech, the Ambassador Hotel, and the Huntington Mansion and Library. Over the years, The Montalbán has been owned by Howard Hughes (who outfitted it to be a sumptuous movie palace), CBS Radio, A&P grocery chain heir Huntington Hartford and the Greek Theatre’s James Doolittle (who outbid Cary Grant in 1964). UCLA took over in the 1980s until the Ricardo Montalbán Foundation bought the building in 1999. In recent years, under the direction of Montalbán’s son-in-law Gilbert Smith, nearly five million dollars has been invested into restoration to help preserve this distinctive theater that contributes to making Hollywood a very special and incredibly creative place. The Ricardo Montalbán Foundation and Theatre are dedicated to improving the image of Latinos and other underrepresented communities through the entertainment industry, by providing educational and employment opportunities for artists dedicated to the performing arts and to produce, present and support meaningful and world-class presentations that emphasize artistic collaboration, diversity and interdisciplinary work with community participation. Please be advised that access to the 4th floor roof is via an outside staircase ONLY.There is no ADA-compliant access (yet) since this 90+ year old theater does not have an elevator at this time. Rooftop Movies at The Montalbán is quite literally a perfect night on the town. 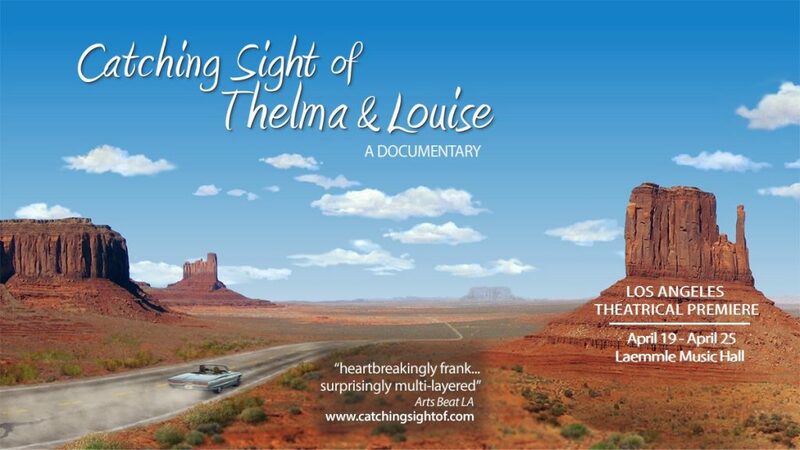 The theater’s entire team hopes Los Angeles residents and visitors alike will come often for an evening under the stars with fantastic films, fun food, and dear friends.